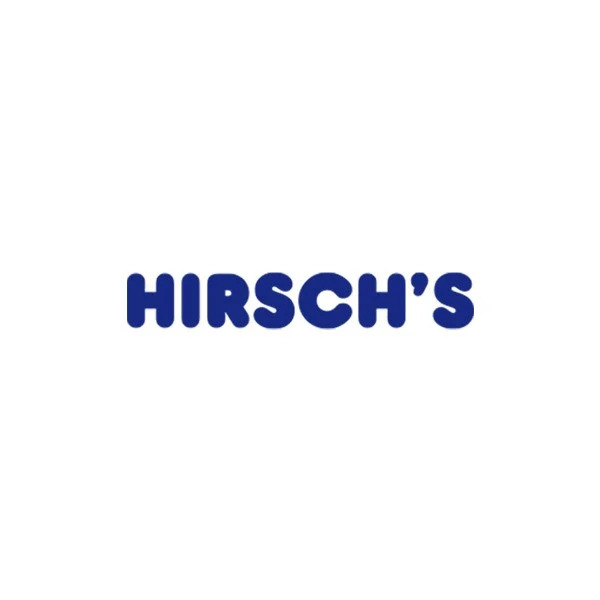 Terms & Conditions | Hirsch's | We Will Save You Money! 1.2 All moral rights of Hirsch's and its employees/agents are reserved. 1.3 Hirsch's do not accept any liability for illegal, defamatory or obscene content. 1.4 Users are encouraged to inform Hirsch's of any content that may be offensive or illegal. 2.1 Everything on this site is the property of Hirsch's and can not be copied. 3.1 When a user visits Hirsch's or sends e-mails to Hirsch's, that user consents to receiving communications from Hirsch's electronically and agrees that all agreements, notices, disclosures and other communications sent by Hirsch's satisfies any legal requirements, including but not limited, to the requirement that such communications should be "in writing". 4.1 No person, business or web site may link to any page on this site without the prior written permission of Hirsch's. Such permission could be obtained from the person referred to in clause 1 hereof. This clause does not apply to parties that have entered into e-trader agreements with Hirsch's. 4.2 Hyperlinks provided on this site to non-Hirsch's sites are provided as is and Hirsch's does not necessarily agree with, edit or sponsor the content on such web pages. 5.1 No person, business or web site may use any technology to search and gain any information from this site without the prior written permission of Hirsch's. Such permission could be obtained from the person referred to in clause 1 hereof. 6.1 Neither Hirsch's nor any of its agents or representatives shall be liable for any damage, loss or liability of whatsoever nature arising from the use or inability to use this website or the services or content provided from and through this website. Furthermore, Hirsch's makes no representations or warranties, implied or otherwise, that, amongst others, the content, images and technology available from this website are free from errors or omissions or that the service will be 100% uninterrupted and error free. Users are encouraged to report any possible malfunctions and errors to the person referred to in clause 1. 6.2 This web site is supplied on an "as is" basis and has not been compiled or supplied to meet the user's individual requirements. It is the sole responsibility of the user to satisfy itself prior to entering into this agreement with Hirsch's that the service available from and through this website will meet the user's individual requirements and be compatible with the user's hardware and/or software. 6.3 Information, ideas and opinions expressed on this site should not be regarded as professional advice or the official opinion of Hirsch's and users are encouraged to consult professional advice before taking any course of action related to information, ideas or opinions expressed on this site. 6.4 All items purchased from Hirsch's are made pursuant to agreements with shipping and delivery agents and risk of loss pass from Hirsch's to such agents upon delivery of any item to such carrier. 6.5 Neither Hirsch's nor any of its agents or representatives shall be liable for any damage, loss or liability of whatsoever nature arising from the use or inability to use any product sold on this web site. 7.1 The price of each product is displayed with the product, in the event of a product being on special, this price will be displayed. 7.3 All prices on the website include VAT at the rate of 15%. 7.4 Prices are only valid on the website and not in branches. 7.5 Prices on the website are based on discounted and average pricing . 7.6 Shipping costs are calculated in accordance to region of delivery and is calculated by the weight of each product. 7.7 Time based pricing is only available for the times stipulated by Hirsch's adverts and as displayed on the website - any purchases done outside of such times, will not be honoured at the special pricing. 7.8 Time-based pricing time logic is based on the time of the device that the website runs on, and might differ from the users times. 7.9 EO&E - Errors Omissions & Excepted - all precautions will be taken to provide correct pricing and images on this site, however in the event that a error does occur, no liability can be held against the company to provide such products at such pricing. 8.1 All deliveries will be delivered within 5-7 working days, taking into consideration the availability of stock and region. 8.2 Where delays and out of stock situations occur, every effort will be made to inform the buyer. 8.3 Deliveries outside the borders of South Africa will not be done via the website and a store must be contacted in this case. 8.5 By signing such invoice document, the receiver confirms that the goods were received undamaged and in good condition. 8.6 In the unlikely event that the goods arrive damaged or items may be missing, and the receiver wishes not to accept the items, then they must indicate on the waybill the reasons for sending the parcel back and both parties will need to co-sign against this indication. 8.7 In the event of Hirsch's being given an incorrect delivery address or no one is present to receive the item at the time of delivery, the delivery will be returned to our offices, and we will then contact you to re-schedule the delivery. Please note that you will be charged the delivery fee again, as we use contract delivery teams and we are charged for each delivery, and in turn this fee will be passed onto the purchaser. 8.8 Should your item be delivered by our friendly courier service outside of a 30km radius of our store, we will be unable to fulfil the Hirsch's Delivery Experience of removing your older item. Arrangements should be made under the comments section on the checkout page. Additional charges may be applicable. 8.9 Any connection/Installation is the clients responsibility. If assistance is required, please note this in the comment section on the checkout page. Any service required as a result of improper connection/installation will be for the clients account. 8.10 In the event of an exchange, additional delivery costs may be applicable. Please liaise with your consultant for further information. 9.1 We offer a Collection option for all Kwa-Zulu Natal, Johannesburg and Pretoria based customers who would rather collect than have it delivered. Selecting the collection option is free and you will not be charged a delivery fee. Once we have received your order and confirmed stock availability, you will be contacted with a date and time that you can collect. 9.2 “In stock” products are not necessarily available in all stores. Once order is placed, stock will be transferred to the selected store and a consultant will advise accordingly. 10.1.1 At the time of placing the order, the transaction details are presented to the bank and an authorisation is obtained for the amount of the order. 10.1.2 Note that to protect it's own and the interests of customers, Hirsch's scrutinizes all transactions very carefully to prevent attempted fraud and a transaction may be refused if Hirsch's is not satisfied with it's legitimacy. 11.2 Hirsch's reserves the right to refuse to accept and/or execute an order without giving any reasons. Hirsch's also reserves the right to cancel orders in whole or in part as circumstances dictate. Hirsch's shall only be liable to refund monies already paid by the user. 11.3 Hirsch's shall take all reasonable efforts to maintain correct prices. However, should errors occur and items are offered at incorrect prices, Hirsch's will not be obliged to sell goods at such incorrect prices and shall only be liable to refund monies already paid by the user. 12.1 Stocks of all goods on offer are limited. Hirsch's shall take all reasonable efforts to discontinue the offer as soon as stock is no longer available. However, should items still be offered after stocks are sold, Hirsch's shall only be liable to refund monies where it is unable to fulfill orders at advertised prices. 13.1 Hirsch's shall not be liable for the sale of items at lower prices if such prices were increased and users and/or purchasers could not, for whatever reason, conclude an agreement of sale while such prices remained low. 14.1 Should Hirsch's supply the incorrect product or if the product is damaged or faulty, Hirsch's shall exchange the unit for a new one, provided that the damaged unit is returned in it's original packaging with all warranty cards, manuals and accessories. Certain made to order items may only be returned for replacement but not for refund. 14.2 Hirsch's work on a seven day refund policy. 14.3 Cash refunds will not be given, and any monies due will be paid back into the users bank account . 15.3 Vouchers can only be redeemed whilst they are valid and expiry dates can not be extended. 16.1 This site is hosted, controlled and operated from the Republic of South Africa and therefore governed by South African law. 17.1 Hirsch's may use your information to contact you about promotions and special offers. You are entitled, at any stage, to opt out of this service. We do not sell or rent personal information about individual members (such as name, address, email address, telephone or fax number) to third parties. Hirsch's may disclose personal information in response to a specific request by a law enforcement agency, subpoena, court order, or as required by law. 18.1.3 The user allows Hirsch's to take all reasonable steps to ensure the integrity and security of the Hirsch's web site and back-office applications. 18.1.4 Any person that delivers or attempts to deliver any damaging code to this web site or attempts to gain unauthorised access to any page shall be prosecuted and civil damages shall be claimed in the event that Hirsch's suffers any damage or loss. 19.1 Hirsch's may, in its sole discretion, change this agreement or any part thereof at any time without notice. 20.1 In the event of any dispute of any nature whatsoever arising between the parties on any matter provided for in, or arising out of this agreement, and not solved between the user and Hirsch's, shall be submitted to confidential arbitration in terms of the expedited rules of the Arbitration Foundation of South Africa. 21.1 Hirsch's chooses its domicilium citandi et executandi for all purposes under this agreement, whether in respect of court process, notice, or other documents or communications of whatsoever nature, 5 Royal Palm Avenue, Umgeni Business Park, Durban. 22.2 Your privacy is very important to Hirsch's and therefore any information you provide to us is stored on a secure server. 22.3 Hirsch's may use your information to contact you about promotions and special offers. You are entitled, at any stage, to opt out of this service. We do not sell or rent personal information about individual members (such as name, address, email address, telephone or fax number) to third parties. 22.4 Hirsch's may disclose personal information in response to a specific request by a law enforcement agency, subpoena, court order, or as required by law. 23.1 If you enter any of our Shortcode SMS Competitions, you will automatically be added to our database to receive communications in the future. 24.1 Please note that certain product stocks are limited and are featured online for a limited period of time. This means that some items you choose at the time of creating your registry may not be available at the time of your guests purchasing. 24.2 Guests purchasing in-store will need to read out the unique registry code in order for the registry to be updated. 24.3 If you've selected a product that is currently on promotion, please be aware that prices may change without prior notice. 25.1 All products shown are for display purposes and product specifications may differ from actual products in stores. All product, product specifications and data are subject to change without notification to improve reliability, function or design or otherwise.